Documentary on the Grand Kankakee Marsh coming soon! 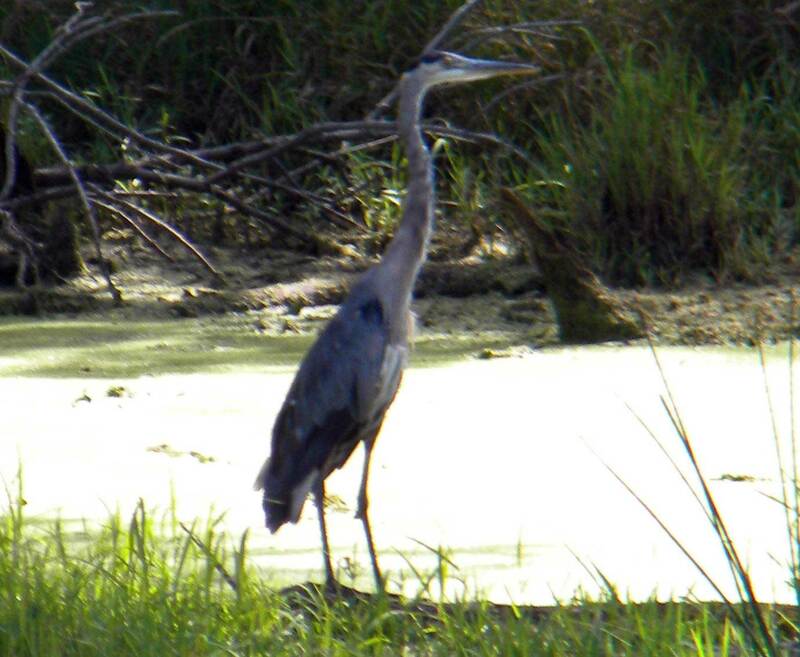 Pat Wisniewski and Jeff Manes have interviewed several members of the Newton County Historical Society for background information and footage for this interesting and educational documentary focusing on the Grand Kanakakee Marsh. They have filmed in a variety of locations throughout Newton County, covering the history and influence of the Kankakee River and the Grand Kankakee Marsh to our early ancestors, as well as today. Watch the local newspapers for the debut of the documentary. Left: Pat operates the camera while Jeff interviews Linda (Barker) Schwartzlose, the granddaughter of Alexander "Kankakee Ned" Barker, at the Newton County Historical Society Resource Center. 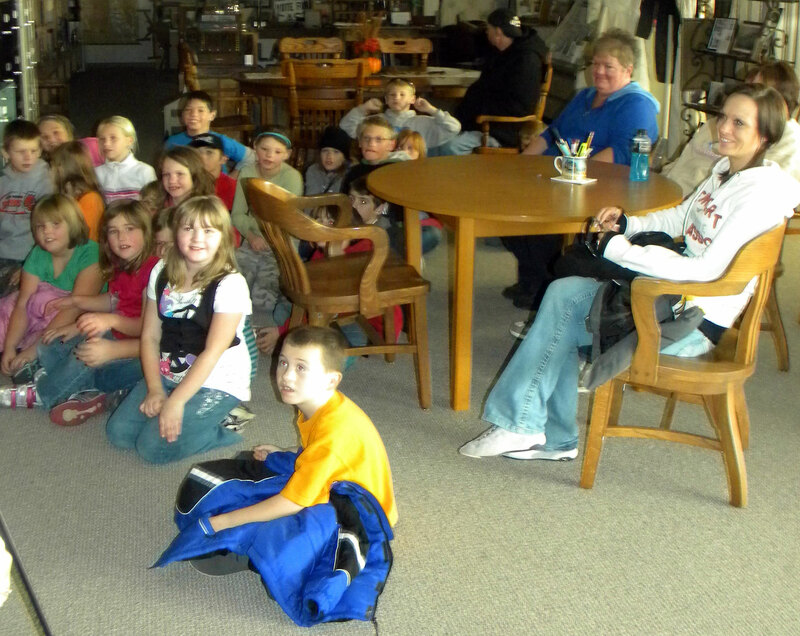 Above, left: In the fall of 2010, the third grade class from Lake Village Elementary toured the center and watched the short preview of the documentary. Jeff then gave the presentation and asked thechildren several questions. Jeff, a Newton County native, grew up in Sumava Resorts, and was delighted to share his love of the River and the area with the children. Please help us to make a Full Feature Documentary Film in order to tell the story of this wonderful piece of history and ecological wonder that once existed right here in our own backyard. furbearers and fish that was unimaginable. was one of the largest inland marshes in North America. Native Americans lived off of the bounty of the marsh for generations. Early Presidents, Generals and Russian Czars came for miles to visit this “Hunter’s Paradise”. Today, there is only several thousand acres left of this magnificent wonder. 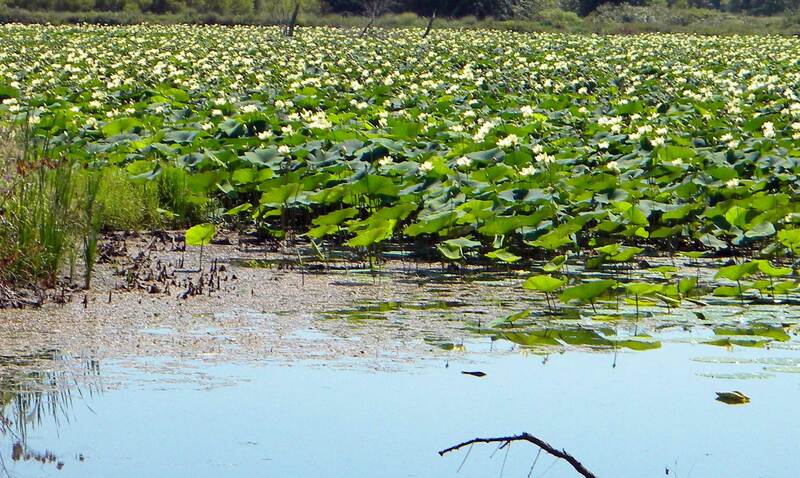 What Became of Indiana’s Everglades? Let us tell you the story………..